Who will an AMAZING RESULTS!™ Franchise model appeal to? This is your opportunity to be at the forefront of one of the UK's most professional Estate Agency organisations with a winning national brand, 1,000's of happy customers, award-winning local Professional Estate Agents and a market-leading business model whose reputation has been built by Estate Agency's best. START AT THE TOP. WORK WITH THE BEST. Franchising allows you to be your own boss and your success will relate to the effort you put in. You are working for yourself and running your own business but you go to market with a proven model, brand and a dedicated team supporting you with advice and guidance on how to operate effectively and successfully. This includes the right to use trademarks, logos, a business systems, IT and marketing techniques. Estate Agency is one of the most exciting and profitable business opportunities for aspiring entrepreneurs and the UK is also one of the most lucrative and popular markets in Europe… possibly even the world. Consider the fact that over 1.3 million people every year use a professional Estate Agent to buy and sell over £303 billion worth of homes in the UK and this number continues to grow. Whatever happens, AMAZING RESULTS!™ is perfectly placed to deliver the support, training and business solutions that will always keep you ahead of the competition. AN ESTATE AGENCY LIKE NO OTHER. AN OPPORTUNITY LIKE NO OTHER. Today, our UK expansion is moving fast. 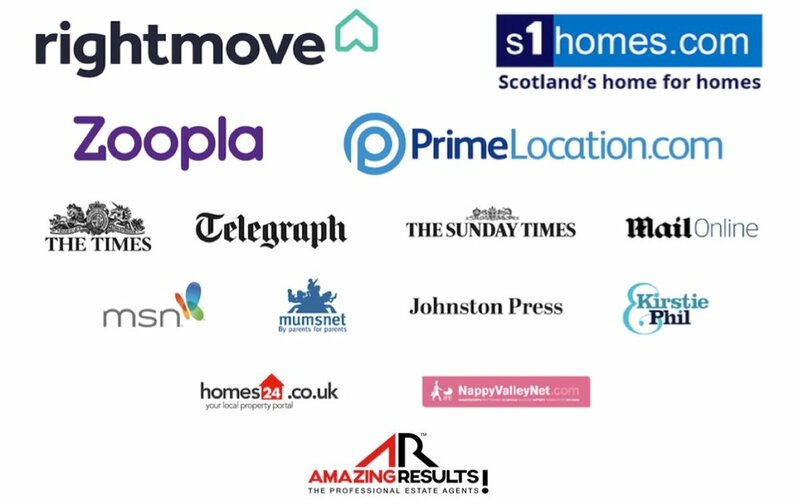 AMAZING RESULTS!™ have Agents from the Isle of Lewis in the Outer Hebrides to Blyth in Northumberland and from Greenock to Glenrothes, and we plan to have a further 20 Estate Agencies this coming year - making us one of the fastest-growing independent Estate Agencies by the end of 2019. If you truly want to out-think, out-perform and out-sell the competition in today’s market, you need access to every competitive advantage. We provide our Franchise Owners with the leading-edge tools, unrivalled training opportunities, premium brand, entrepreneurial freedom and more than 30 years of industry-leading experience to attract new business and recruit and train the best Estate Agents in their markets. And by accessing the world's best Estate Agency technology, training and marketing systems with the UK's top property websites like Rightmove and Zoopla, we aim to help you and your Agents become the premier Agent for customers looking to buy or sell property in your market. 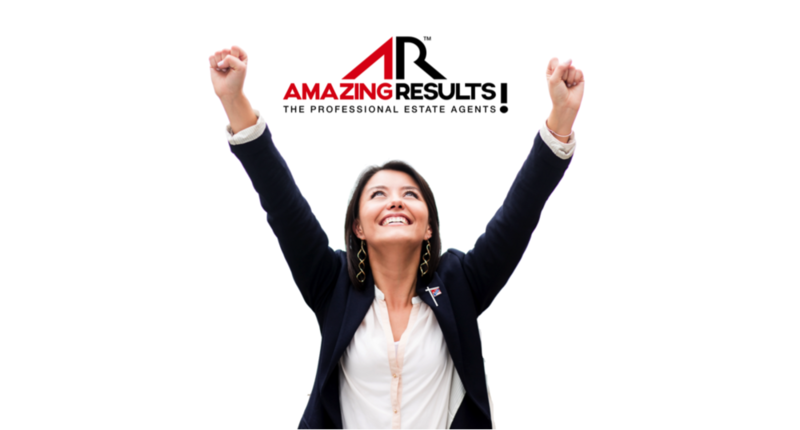 WHO WILL AMAZING RESULTS!™ ESTATE AGENCY FRANCHISE APPEAL TO? AT AMAZING RESULTS!™ YOUR BUSINESS IS YOUR OWN - YOU CALL THE SHOTS! In considering AMAZING RESULTS!™ you’ll discover not only a unique and exciting new business opportunity, but also the chance to grow your own successful Estate Agency and achieve that work-life balance and high earning potential you’ve been seeking. There's no greater feeling than building your own business in your own community. And with AMAZING RESULTS!™ working with you, there's no greater chance of that business being a success. Wherever you're coming from, and whatever experience you may have, we will give you the best possible start to your new venture. GET YOUR PROPERTIES SEEN BY MILLIONS OF BUYERS. OVER 95% OF HOME BUYERS LOOK FOR THEIR NEXT HOME ONLINE. YOU SUPPLY THE DESIRE TO SUCCEED, WE'LL SUPPLY THE TRAINING AND GUIDANCE TO MAKE IT HAPPEN. IF YOU WANT TO BE THE BEST, WORK WITH THE BEST. JOIN THE HOME OF THE PROFESSIONAL ESTATE AGENTS. WITH THE WORLD'S BEST ESTATE AGENCY SOFTWARE, YOUR BUSINESS GOES WHERE YOU GO. That all adds up to financial success. And a winning formula you will love! Consistently rated as the best in the business by our Agents, Franchisees ... and our customers. DESIGNED BY TOP ESTATE AGENTS. FOR TOP ESTATE AGENTS. Kick-start your full entrepreneurial potential as the owner and director of an Estate Agency in your chosen area and build a lucrative new business in one of the UK’s most dynamic and fast-paced industries that generates fantastic revenue. AMAZING RESULTS!™ provides you with the tools to thrive in any market; the industry's best training; freedom to market yourself as you see fit; the best technology and support; and an Estate Agency service second to none. This is your opportunity to be at the forefront one of the UK's leading next generation Estate Agency organisations with all the freedom of an independent Estate Agent yet have all the advantages of being part of a world-class Estate Agency brand. IT'S YOUR DREAM. IT'S YOUR SUCCESS. IT'S YOUR FUTURE! Right now we are looking for serious, full time business-minded, ambitious entrepreneurs to develop a world-class brand within your marketplace and be part of one of the UK's most exciting and innovative networks in the industry. It all starts with a confidential conversation. To request a meeting with our Franchise team, please complete the form below, and we will be in contact shortly! Do you have any Estate Agency experience? Why are you considering a Franchise?